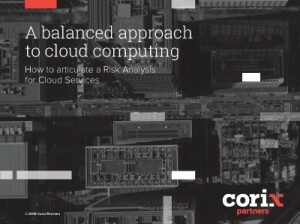 CIOs and CTOs should take their own internal security maturity into consideration and put all aspects into perspective when making cloud decisions: Like most others, they should revolve around a sound and balanced risk and rewards analysis. Cloud solutions must not be seen as inherently insecure or inferior by default in terms of controls to in-house alternatives. You can be more secure in the cloud: Your own initial security maturity (or the lack of it) is a key parameter in such equation, as well as the security capability of cloud service providers.